Free trial class - apply now! We don’t teach drama. We let drama teach us. 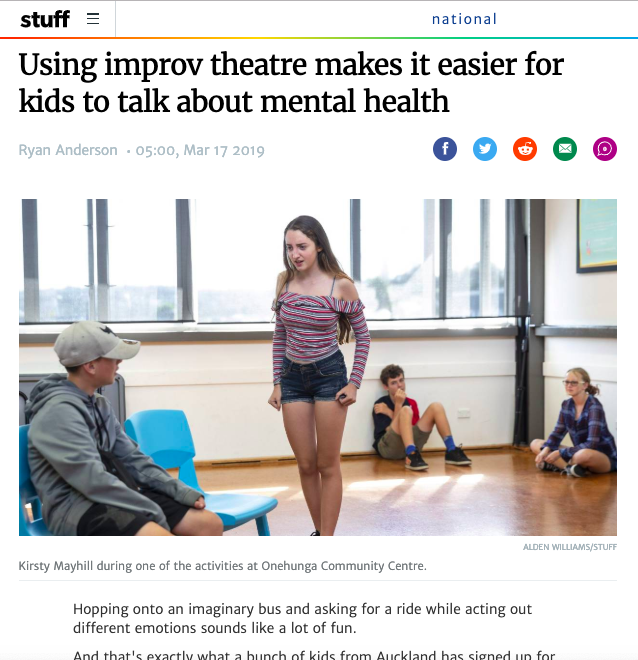 Our classes use drama as a medium through which students can explore interpersonal communication skills, self-awareness, and team building in a fun and supportive environment. These core personal development skills lay the foundation for a sense of confidence, self-worth, and self-efficacy. Strong leadership ability is built on these skills. We believe that personal development and leadership skills are best learned experientially. The improvisational drama methods used in our classes allow students to explore key personal development skills in a playful and supportive environment. Our drama pieces are created organically and collaboratively by students, using an improvisational drama method known as devised theatre, or collaborative creation. Using this method allows students to explore class topics experientially and at a deeper level than written or discussion-based learning. It can be daunting trying new things and meeting new people. We want to make your experience with us as fun and relaxed as possible. Come along to your first no-obligation trial class free of charge to check out if our classes are a good fit for you. Initialize is proud to be working in affiliation with Youthline to support and empower young New Zealanders. Find out more about our affiliation with Youthline here. We donate 10% of all profit to Youthline.